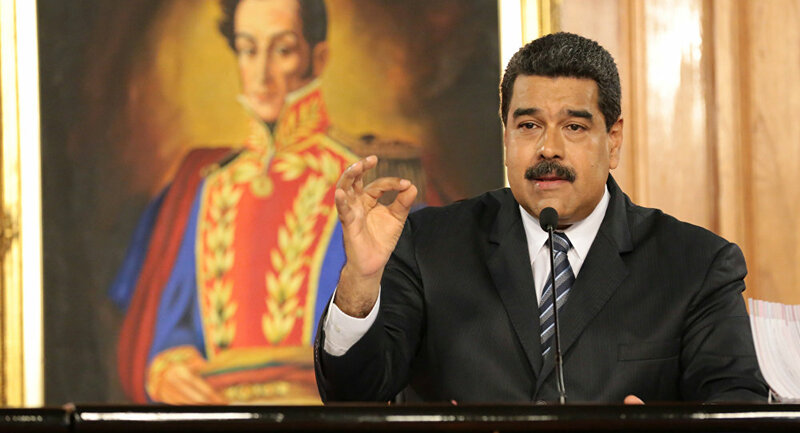 UNITED NATIONS (Sputnik) - US economic sanctions imposed on Venezuela are illegal and amount to economic persecution of the South American nation, President Nicolas Maduro said in a speech to the United Nations General Assembly. "This has been economic persecution of us," Maduro said on Wednesday. "We have not been able to use the international currency of the US dollar. This has been economic trade persecution of Venezuela. These have been illegal sanctions imposed on us." As Venezuela continued to defy threats and orders from economic "oligarchs" in Washington, major US news platforms such as the New York Times, the Washington Post and Time magazine had reported coup plots being prepared to topple its democratically-elected government, Maduro added. Maduro also said he stands ready to have a dialogue with US President Donald Trump over differences between the two leaders. "President Donald Trump and I certainly have our differences but that is what we have to dialogue about," Maduro said. "I stand ready to talk with an open agenda on everything he might wish to talk about." The US Treasury on Tuesday issued a new set of sanctions against Venezuela adding Maduro's spouse and key cabinet officials to the list of sanctioned individuals. On Tuesday, Trump said Maduro’s regime "could be toppled very quickly by the military if the military decides to do that." Venezuela condemned Trump’s statement which was aimed at interference in country's internal affairs, the Venezuelan Foreign Ministry said on Wednesday.